Extracted from a talk entitled “It’s Your Round” by Mark Andrew Pardoe to the Society on 22nd November 2012 about every pub he has managed to find out about in Hitchin. 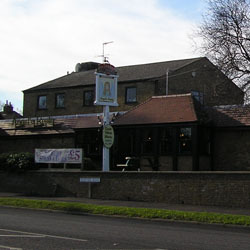 Mark Andrew Pardoe was the last British Rail archivist and is an expert in various subjects, including Hitchin’s pubs. 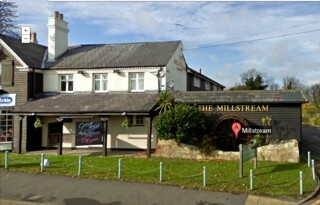 It would take more space than we have here to describe every pub, as he mentioned about a hundred in his illustrated talk, but here are the ones we managed to jot down during Mark’s dash through the town’s victualling venues! 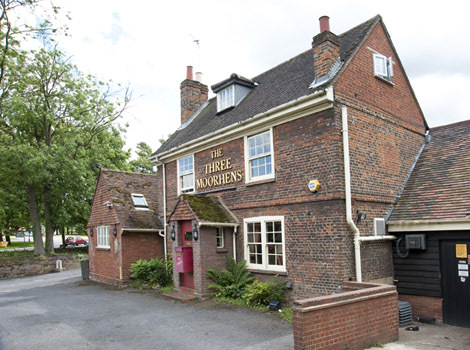 the Three Horseshoes, the White Horse and the Black Horse next to each other, now Card Saver. the Trooper from 1734-1870, where it’s said troops were once billeted, which became Moss’s and is now a phone shop. 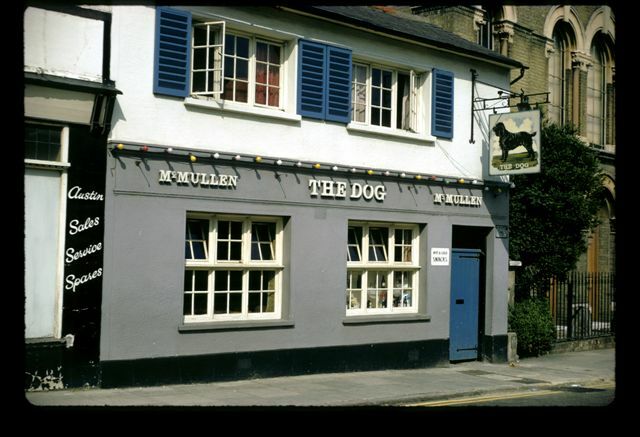 the Victoria, Mark’s local, which opened in 1864 but had previously been the Cricketers, the second pub of that name in the town; the Woolpack from 1840 which became the Orchard & Anvil (the forge was oppposite) and closed in 2008.
the Bricklayers Arms, and another ten or so! 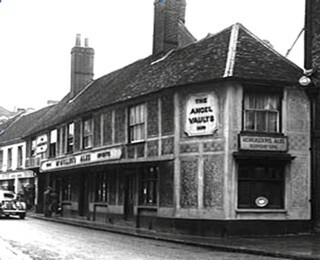 the Anchor in Mill Lane, opened in 1776 and closed in 1779! The virtual pub crawl ended at Lancaster Avenue. Phew! 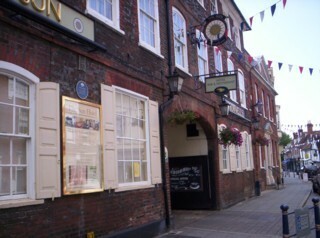 Our thanks to Mark for his whirlwind tour of Hitchin’s pubs and their fascinating social history. Many members wondered how the townsfolk of yore ever got any work done, but of course beer was weaker then and water undrinkable – and things did get done.